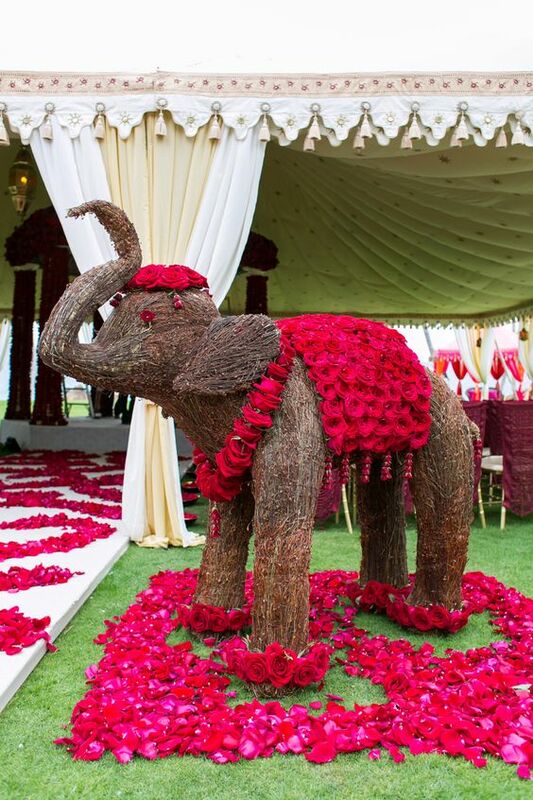 As Exquisite Events blogger, most weeks I have the pleasure of uploading Nikki and Madiha’s amazing photos from their over-the-top extravagant events and editing the story behind the details of all of the pre-wedding functions, ceremonies, and receptions. I also get to blog about their travels, and food and fashion tastes. This week, we’re taking a little break from the norm, to bring you a look into my recent trip to Lima, Peru and Machu Picchu! Our trip started when we landed at 6 a.m. at the Lima airport. My boyfriend, and I were visiting his cousin who lives and works in Lima and we were happy to have him as our guide. He showed us the parts of the city that any tourist would want to see like the city center, the ceremony of the changing of the guards, Kennedy Park - a park filled with flowers and cats, El Parque del Amor (the park of love), and the views of the ocean from just above the coastline in Miraflores. It's winter in Lima, so there was a romantic fog over the city the whole time we were there. He also made sure that we ate some of the best food, as Lima is known to be the gastronomic center of Latin America. The famous sandwiches at “La Lucha,??? amazing ceviche at “La Rosa Nautica,??? and countless “menus,??? which are Lima’s 3-course-meals for about $3-$4. We were only in Peru for 6 whole days, but we did not want to miss Cusco, the Sacred Valley, and Machu Picchu. We took advantage of every moment. The first day, we landed in Cusco, walked around the city center and local market, had breakfast - well their typical breakfast - a big bowl of delicious chicken soup, and were on our way in a passenger van to Ollantaytambo. Ollantaytambo is the last stop in the Sacred Valley before Aguascalientes, the town of Machu Picchu. It’s a charming town with only two streets wide enough for cars, and many alleys just wide enough for people and horses. We spent the day among Inca ruins, sipping coffee in the city square, and admiring the majestic landscape. The next day, we were off early on the train to Aguascalientes and Machu Picchu. The views of the Andes Mountains and dispersed Incan ruins were incredible and riding by the Urubamba River was tranquil. We arrived and were ready for a steep hour and a half hike up to Machu Picchu mountain, the highest peak in Machu Picchu with a 360 degree view of the village and mountains around. At the top of the mountain, we met several fellow travelers, including a couple from Argentina. The boyfriend took the opportunity to get down on one knee and propose to his girlfriend at the top of the mountain! And he asked me to be the photographer! I felt so special to be a part of that moment, but I'm a little bummed I didn't take pictures on my own camera of the event. 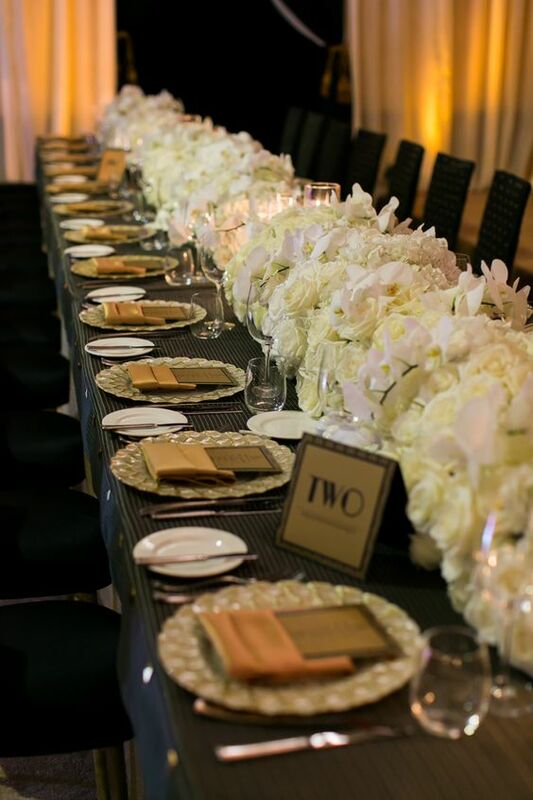 (Best wishes to both of you if you ever stumble upon this blog and Exquisite Events would love to plan your wedding!) The view was phenomenal and well worth the sweat! Machu Picchu was only discovered a little over one hundred years ago, and not much is known about why or how the Incas disappeared from this place. It was fun to walk around a land of complete mystery. We explored the ruins for the rest of the day and ended up camping just below the ancient Incan village. After the ceremony was over guests were escorted to the Crystal Foyer for cocktail hour. 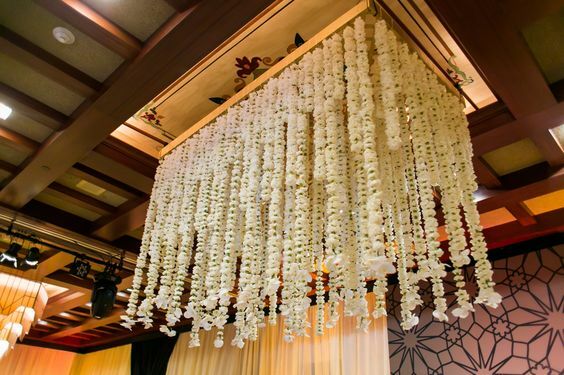 A canopy swathed in sheer gauze ivory fabric sat under the beautiful chandelier with lounge vignettes consisting of French furniture and a large pouff embellished with gorgeous florals. 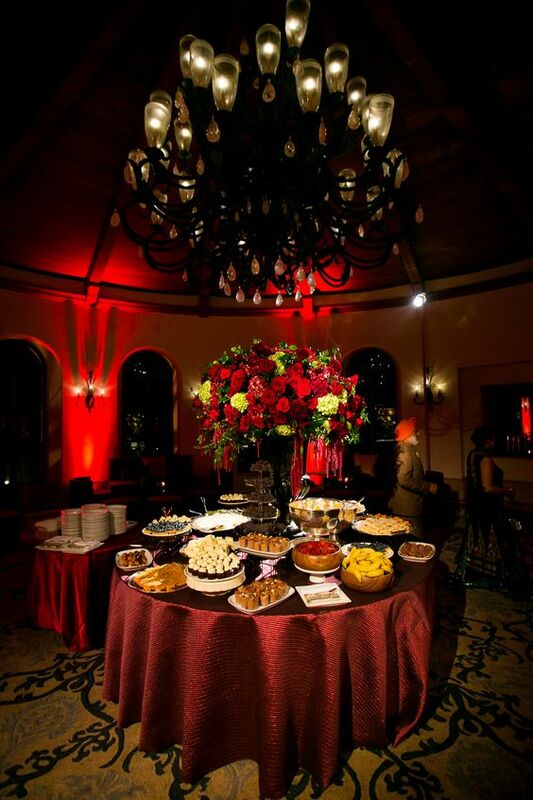 Guests enjoyed signature cocktails and delicious hors deuovers as well as food stations paying homage to the bride's hometown of Manila, Phillipines. A quartet played enchanting music and kept the guests entertained. At exactly 7 pm the ballroom doors opened to reveal a stunning set up. Our bride wanted to create "Old Hollywood Glamour" to compliment the hotel. We chose rose gold, dull gold and ivory colors. The entire ballroom had a rose gold dance floor. The backdrop of the stage was the Camilla flower wall. 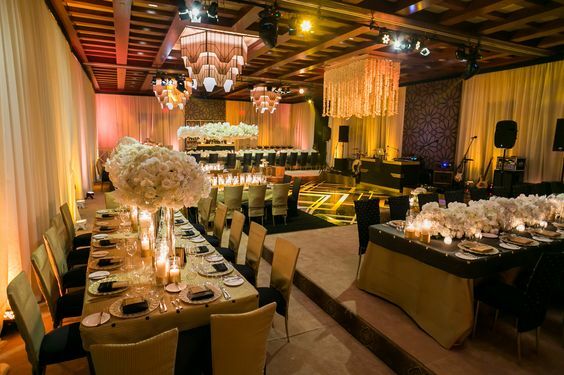 Two long custom chandelier tables were set to the nines for close family. The couple had expressed the desire to be on a riser facing the stage. 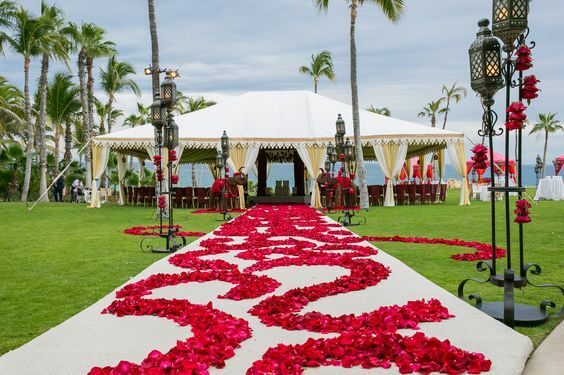 A gorgeous half moon couch and a mirror top table were created for the couple's sweet heart area. 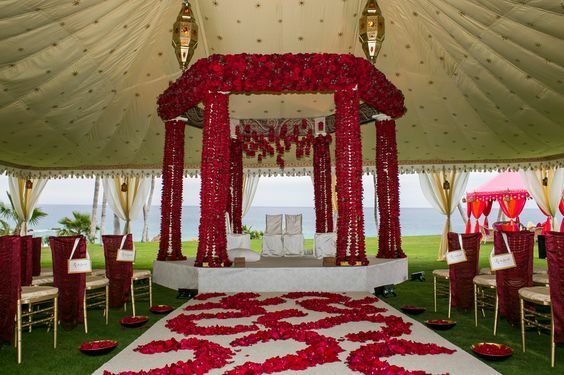 The flowers were cream and ivory orchids and roses with garlands of fresh water pearls cascading down. 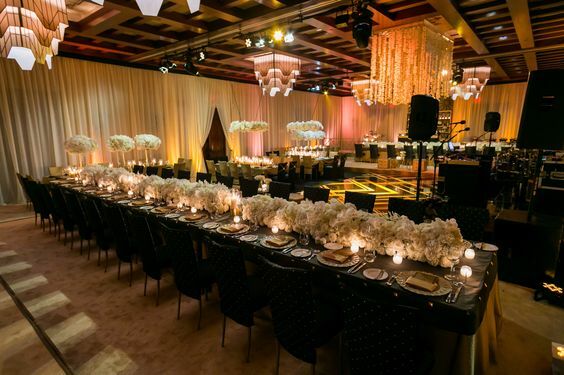 Tons of candles in mercury glass and other vintage votives sat atop tables creating a lovely ambiance. Our nine piece band rocked the crowd. The couple made their grand entrance and went straight to the dance floor for their first dance as husband and wife. Halfway through the reception, the bride changed into a Marchesa gown. The band rocked the crowd all night long. 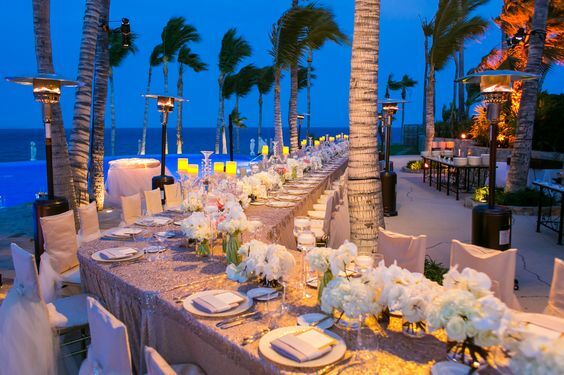 The evening lasted until the wee hours of the morning and guests left the hotel with fond memories etched in their minds forever. "Thank you Aunty Nikki! I really wish I could get married again (to Arshad of course). It was such a great experience having you and Madiha plan our wedding!" - Jasmin (the bride) Have an Exquisite day and we will see you next Wednesday!